Monday: Course must be completed within 5 calendar days. Wednesday: Course must be completed within 12 calendar days. Friday: Course must be completed within 7 calendar days. IMPORTANT NOTE: The training course will be loaded into your account on the selected start date and the selected time. You must complete your course within the specified track. If you are unable to complete the course within the specified time, you may need to restart the course. 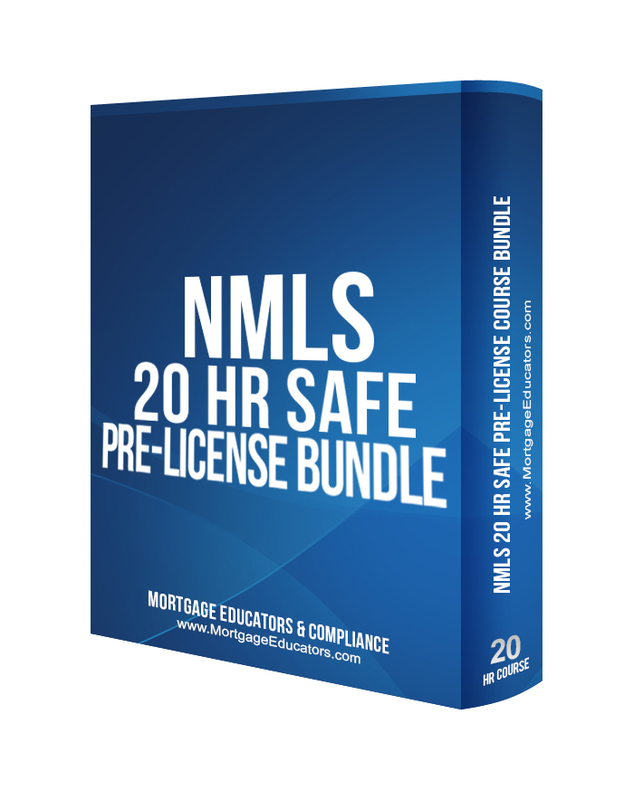 This course meets the required 20 hours of NMLS-approved pre-license education needed to obtain a mortgage license. It contains 3 hours of Federal Law, 3 hours of ethics, 2 hours of non-traditional mortgage lending, plus 12 hours of undefined electives. ADD TEST REIMBURSEMENT GUARANTEE - INCLUDES TEST PREP PRO HERE with over 6 hour of video instruction specifically on the exam. IF YOU NEED ADDITIONAL STATE ELECTIVES, PLEASE ADD THEM FROM THE "ADD STATE ELECTIVE" DROP DOWN MENU. CLICK HERE TO SEE IF YOUR STATE HAS ADDITIONAL REQUIREMENTS. It is presented in an online instructor-led video course with supplementary literature and content. The course is made up of 7 chapters broken into 5 minute sections that require clicking to advance to the next video and includes a handful of small quizzes. After completing the introduction to the course, each section will start with an average duration of 5 minutes per section. Each 5 minute section will be followed by an activity. These activities can be either short quizzes or case studies focusing on certain concepts. At the end of each chapter, there is a chapter quiz with a final exam at the end of the course. Students must complete all presentations and activity sections, all quizzes and tests, and the final exam in order to receive credit for the course. After completing the course, students will receive a certificate of completion. NOTE: YOUR STATE MAY REQUIRE ADDITIONAL EDUCATION REQUIREMENTS BEYOND THIS COURSE. CLICK HERE TO VERIFY YOUR STATE'S REQUIREMENTS. This mortgage training course is offered in three separate tracks. These tracks allow both MEC and you, the student, to remain compliant with NMLS regulations by taking and completing the course within a specific start and end date. Please select a course start date before adding the course to your cart. Courses begin weekly on Mondays, Wednesdays and Fridays. You must complete the course within the allotted time period or your course will have to be reset and you will start from the beginning. 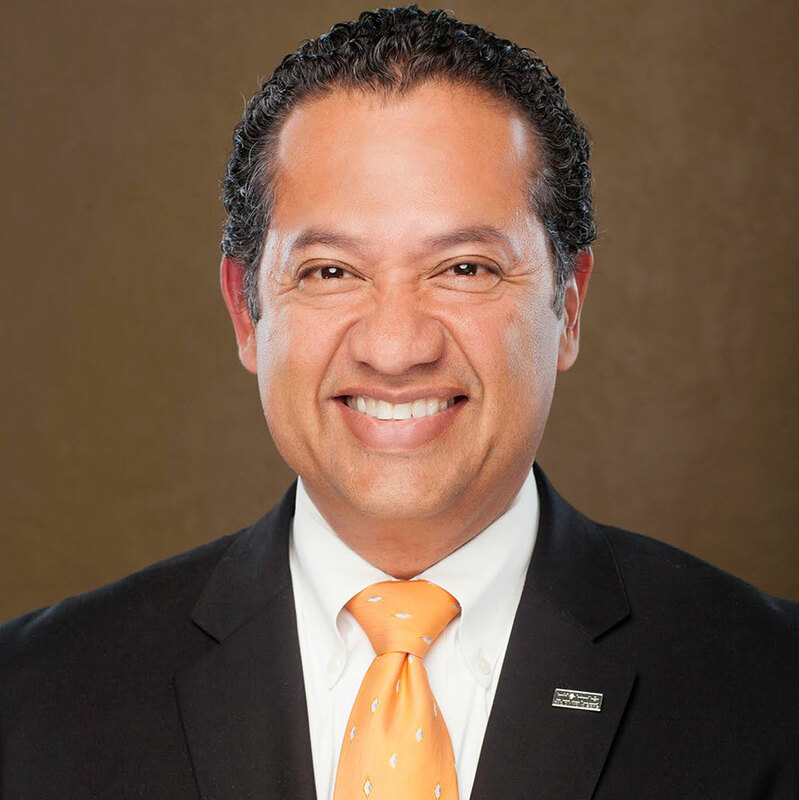 David Luna is the President of Mortgage Educators & Compliance and has more than 35 years of experience in the mortgage lending industry. With an unmatched sense of with, a natural flare for teaching, and a well of knowledge from decades in the industry, David is the best the mortgage education industry has to offer! David has been a consultant for Fannie Mae and Freddie Mac as well as several large banks. David has made appearances on NBC, CBS, and ABC as well as been featured in Mortgage Technology Magazine, National Mortgage Press, and dozens of newspaper publications. David has also been named one of the 2016 50 Most Connected Mortgage Professionals by Mortgage News Network. This chapter covers the basics for becoming a mortgage loan originator and presents a brief history of the industry to help new students better understand the mortgage industry. Also introduced in this chapter is prohibited MLO conduct and possible disciplinary action. This chapter covers the major products and programs available in the mortgage market today, definitions of basic terminology associated with the mortgage products and programs, as well as products and programs that work for specific types of borrowers. This chapter covers the first crucial part of the origination process as specifically for MLOs. This section will help you get the answers that you need to help your borrowers discover their best loan options that they need for their given situation. This chapter will help you to understand the analysis process of a borrower's application, walk you through identifying key laws that govern product and program analysis, appraisals, title reports and title insurance. This course chapter will help you to identify the role of the settlement agent/closing agent, relate the process for funding, understand the documents in the mortgage closing process, and apply the mortgage math processes to actual mortgage scenarios. This chapter will help you understand the idea of ethics, identify major fraud schemes, UDAAPS, describe ways to ensure fair lending and restate prohibited practices in origination. This chapter covers various federal laws and regulations and their applications to the NMLS, mortgage brokers and companies, the mortgage industry as a whole, and individual mortgage loan originators. This 25 question final exam will assess your understanding of the course. After passing the final exam, complete the course completion form in order to receive credit. An optional end-of-course survey may be filled out as well to provide feedback to Mortgage Educators & Compliance. The NMLS requires that education providers report education credit hours within 7 calendar days. Mortgage Educators & Compliance aims to report online education credits within 1-2 business days after completion. If you do not see your education credits reflected or would like expedited credit banking, contact MEC Support. 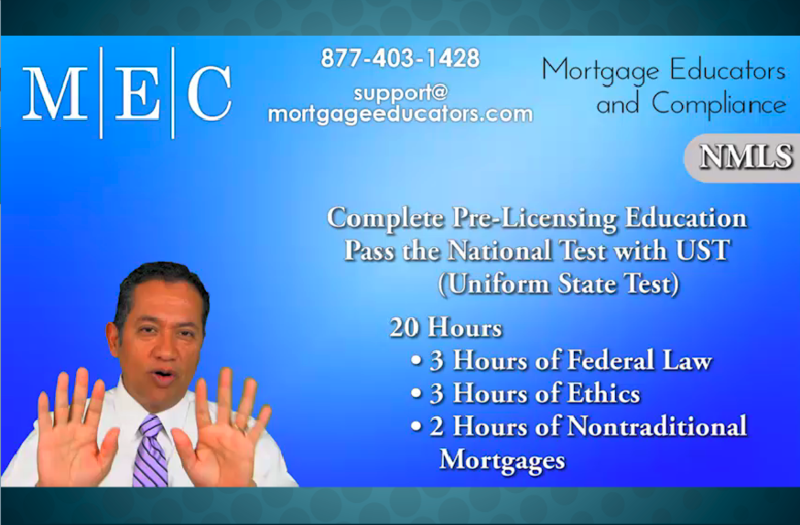 To help prepare you to successfully pass the NMLS national exam with Uniform State Content, Mortgage Educators & Compliance has developed and created this online test prep course to help you score your best on the test! With first time test takers only passing about 60% of the time, it is imperative that you have the best study materials available to you, and our test prep is top of the class! Over 1000 sample test questions for the national SAFE test, allowing you to take multiple sample exams to increase likelihood of passing the exam. You will have access to the NMLS National test prep course for 6 months. Another 6 month extension can be granted upon request. We recommend that you prepare for at least 20 hours in addition to the 20 hour pre-license course. The sample test pulls questions from a much larger question pool. Take the test multiple times to get new questions each time!